Dollar General (DG) is having a rough day after reporting decent earnings but less-than-stellar guidance. Shares slumped nearly 5% Tuesday. The discount retailer beat earnings-per-share estimates by 3 cents but that's where the good news ends. Revenue was just in line with forecasts, and Dollar General's outlook left investors with little to cheer about. "Although our performance over the Thanksgiving weekend and start of the holiday season has been encouraging, we continue to be cautious for the remainder of the year," said CEO Rick Dreiling, in a statement. 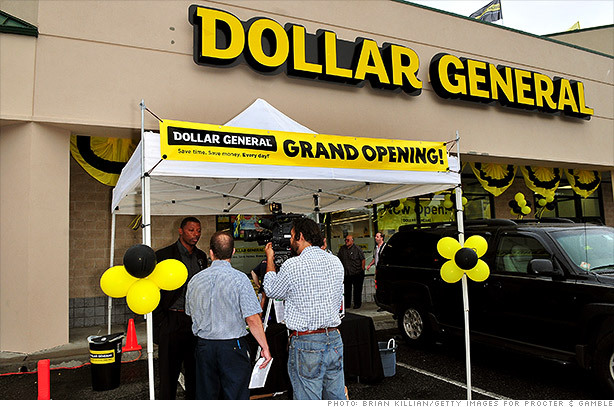 With consumers already on edge over the U.S. economy, what with the fiscal cliff and all, it's no wonder Dollar General isn't feeling the love from StockTwits traders. It can't come as a complete surprise that guidance wasn't all that great. Consider that lawmakers in Washington can't get their act together and the job market is still in the delicate stages of a recovery, so discount or not, consumers aren't rushing out to spend money they don't have. They still expect same-store sales to increase by healthy 3% to 4% in the fourth quarter but gross profit, as a percentage of sales, is expected to be flat. That disparity is enough to drive investors to the sidelines. Still, considering they're the biggest discount retailer in the nation, by store count, this may just be a rough patch that they need to power through. That makes sense. If you want to keep customer loyalty high and sales are drooping, what better way to entice consumers to spend than with some nice discounts? The company is still opening new stores so it may just be a matter of time before they get back on solid ground.